Thanks . Pic of my 93 lowered ..
That's a big difference. Make sure that one of the front spring pads near the center isn't cocked. I checked the front right on the money .from the floor to the center of the wheel well is dead on .. in the front . I thinking the body may be warped , something ??? Anybody know anything about the shims under the rear spring . I was thinking I might be able to take one out add one something to level the rear up .. Right now it level but doing it with the spring bolts but is over a inch different from one side to the other on the bolts .. NOT LOOKING RIGHT ?? Take the car out and run across some 'rumble strips' that are on generally both shoulders of divided highways. Find your self some different points to measure. The most effective and correct are in the FSM in the 3 section. Don't be so concerned with 'matching' those dimensions because your car is modified but use those points for comparisons - NOT - the lip of the quarters or the hood. Hell the 'hood' might change every time you shut/slam it. See how close you get with the 'J & K' heights. Pick points on the actual frame rails anywhere front/rear & left/right that you feel are easy reach and use those for comparisons. ***Rumble strips every time you make changes. 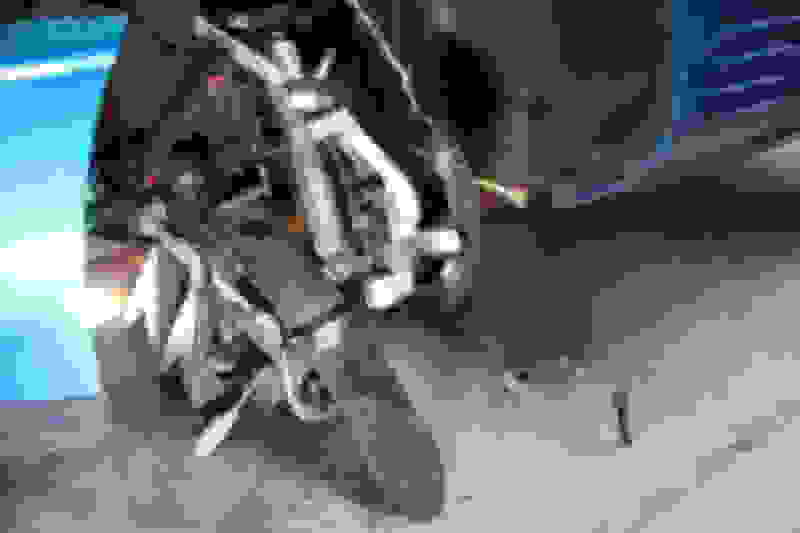 Last edited by WVZR-1; 04-11-2019 at 04:51 PM. I didn't measure the difference in mine, but there is definitely a difference. I've replaced my rear spring and it has new spring pads, so I just figured it was something with that or maybe the spring was slightly off center although it doesn't appear that way. For my its my passenger side that the nut is much lower to get the same height. After you've performed the mods on the front spring and after you've added the longer lowering bolts in the rear, you need to drive the car over a few irregularities in the road a couple of times to get things to settle in like WVZR-1 said. Then, on a known flat and level surface, chalk to locations of the wheels on the floor and take measurements from the locations specified in the FSM as he's already pointed out. Then start adjusting the height of the car from side to side using the nuts on the lowering bolts. Once you get it where you think it should be, repeat the drive, park, measure routine. If you park your car back in the same place (within the chalk outlines) then you won't have to start over from scratch as you'll have a proper baseline. Repeat as necessary until you're happy with the results. If you normally drive alone, and you want the car optimized for best handling in that instance, then add your body weight to the driver's seat before you begin this process and every time you make further adjustments. By doing so you'll be doing a bit of weight jacking so that the left side of the car might sit a tiny bit taller until you get into it to balance things out. The difference in handling will be miniscule unless you're a die hard Auto-Xer, but it does make an itsy-bitsy difference and race cars are set up like this for neutral handling. No matter which way you do it, expect to see that the amount of residual thread below the nuts on the lowering bolts will be different from side to side. Nothing to worry about. The key is making the car sit level from side to side (optimally with you in it) - not whether the bolts have the same number of exposed threads remaining. 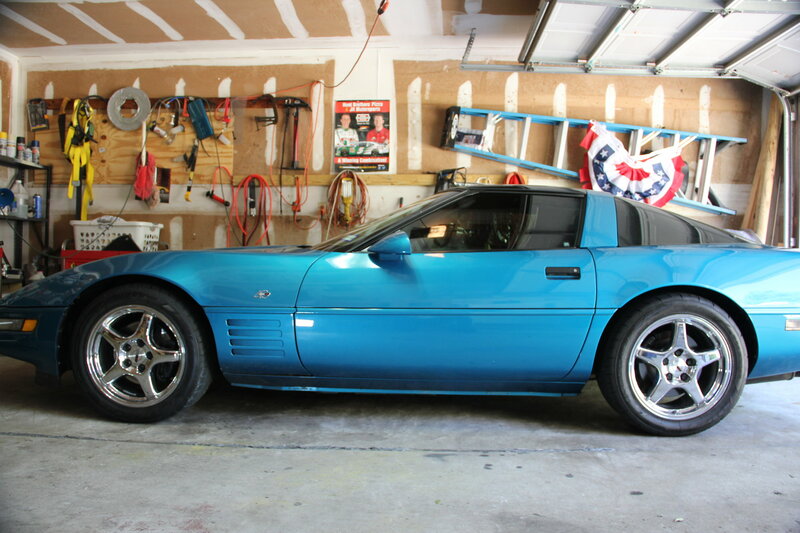 Your all right and getting a measurement off the finder wells is well on a Corvette that is 26 years old not the way to go for sure off the underside a fixed point is the way to go .. I wanted it to look right the finder well deal is the way I went for that look. I just never lower one this this way before I would go with coil overs in years past .. I seems to drive Ok and with two low mileage springs installed seems to feel a little better in the handling dep. The front came out great same same on both sides right to the 1/16th of a inch .Well for a 26 year old Corvette I guess I should be glad it just drives straight down the road . The 93 has 26 mm bars in front and rear with FHA front spring that's either a ZR-1 or Z51 deal it should not have that set up under it ??? handles not bad for what it is . I running with a bunch of C-7s and C-6 this weekend I'll find out if I can hang or not . I did this a few weeks with these guys back before the newer springs and some Polly did way better that I expected for sure I'll find out if all the work was worth it .. The ideal way to do this is by corner weights, ensuring that the two diagonals (LF-RR and RF-LR) are equal. Ride heights from the body work is probably worst, as you've noted, and ride heights from a point on the frame is somewhere between the two in desirability. The body can certainly be off from one side to the other, and the frame possibly could too. In the end, the tires don't care about ride height or looks - they really only care about the loads they see. Corner weighting is the only way to ensure they are seeing the loads we want them to. This isn't the most practical thing for most of us to do, although in any decent-sized city there's probably someone with wheel scales and a flat/level surface. I would say it's not necessary for the average street-driven C4 with seems to look pretty even when the rear bolts are set to the same lengths. However, in your case where the car seems really "off kilter," it might be worth considering. Last edited by MatthewMiller; 04-12-2019 at 09:59 AM. You right ,my whole family has a race ride in there garage for some kind . We are from N. Al . I grew around some of the fastest dirt cars in the south and in ear shot of The Talladega race track . Most look at the dirt rides and say: old dirt race car heck 20 years back was nothing to have $50,000.00 in one that would be top of the line back in the day for sure now days the sky is the limit .. I'll find out tomorrow if I'm not in the ditch somewhere in the TX. hill country trying to catch a C-7 LOL. My brother in law has the newer digital ones .. I'll set it up just to see how bad it really is ?? Trying to do both is not easy ,I show this thing as well .. Thanks ..
My brother in law has the newer digital ones .. I'll set it up just to see how bad it really is ?? Trying to do both is not easy ,I show this thing as well .. Thanks ..
Ah yes, the car show duty complicates things! I see two options. One, get the corner weights right, hope it's just the body panels that are off, and get a competent body shop to correct the body work (hopefully just shims and tweaking). Two, figure out where the rear spring bolts need to be for best corner weights and where they need to be for best visuals, and change them for shows and then back for street duty. This would likely only require changing one of the nuts a certain amount of turns, which is pretty easy to do. It's not a terrible option. Thanks ,I think the body after 26 years is off or it never was right to start with ,these Corvette up until lately have never came off the line 100% not the running gear but the body ,its like here it is now you make it right . Been fixing GMs ^&*& ups for 50 years .. Jus when I through I was done along comes more BS to do ,got to love it .. LOL Thanks .. I hear that!^! If you want something done right, you need to do it yourself. Unfortunately. 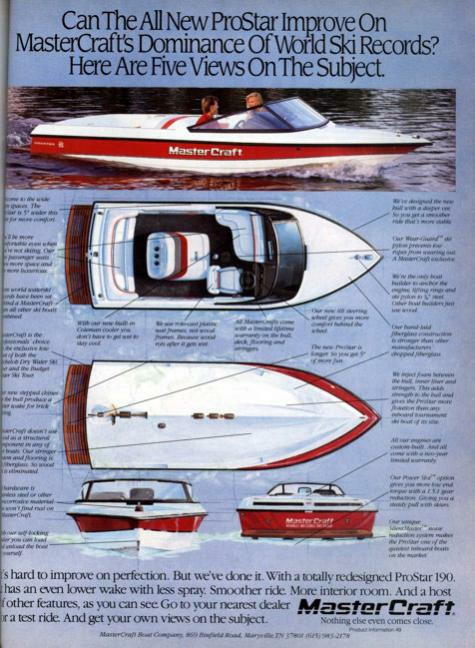 When I bought my first Comp ski boat, bought the best; a Mastercraft Prostar 190. At the time, they advertised and portrayed a culture of "perfection". They even had print ads that showed a "technician" using a laser beam along the bottom of the hull...presumable checking the perfection of it, dimensionally. Right. My boat came from Mastercraft with the strut bolted to the hull at an angle, such that the prop shaft had to bend to make it through the prop log, and connect to the engine. The prop shaft was so far off, it was "sawing" a lateral path, through the packing nut! Laser ******* beams. I had to remove the strut, oblong the 8 bolt holes in the hull, re-mount, align and seal the strut....THEN I could do a proper shaft alignment with the engine. 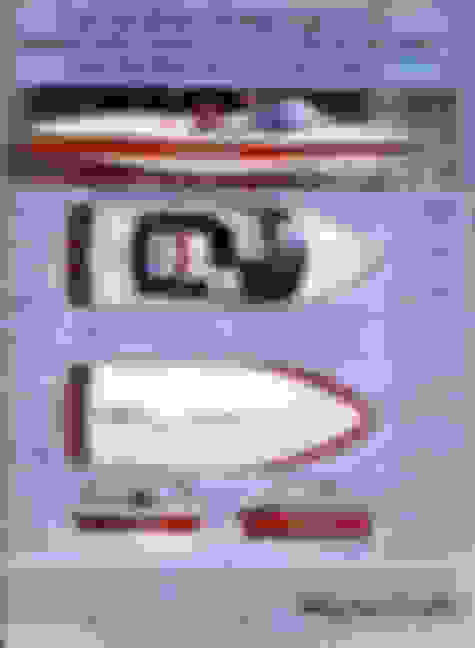 It's been a great boat for decades now...but I spent the first two years of ownership, fixing the BS that was dumb or f'ed up right from the factory. If you want it right, unfortunately, you have to do it all yourself, no matter what company/brand. Last edited by Tom400CFI; 04-12-2019 at 02:01 PM.